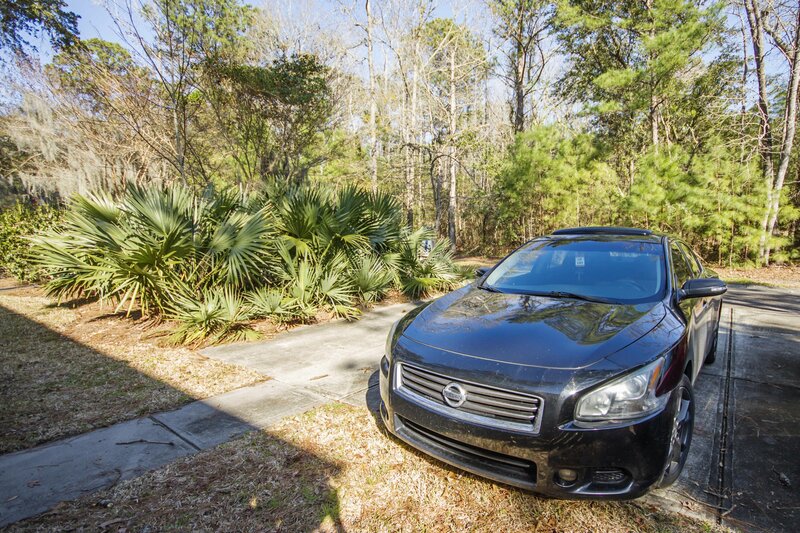 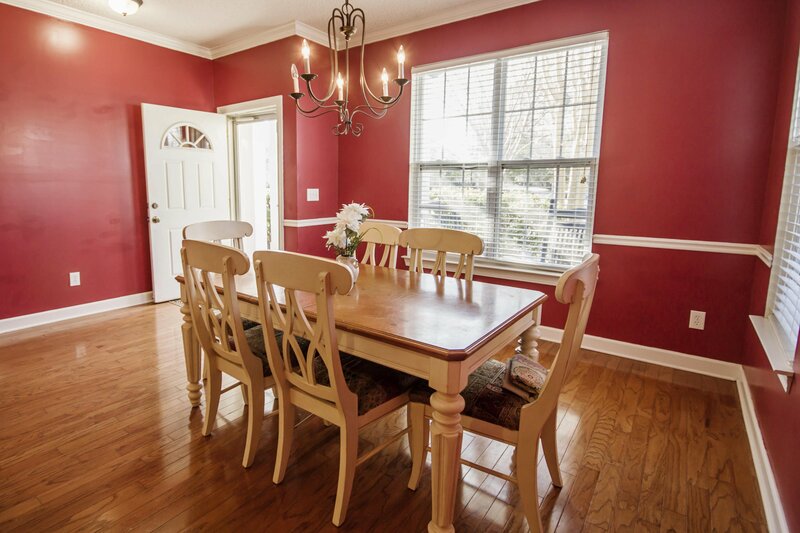 This home is very conveniently located off of River Road near Maybank Highway, just 15 minutes to Downtown. 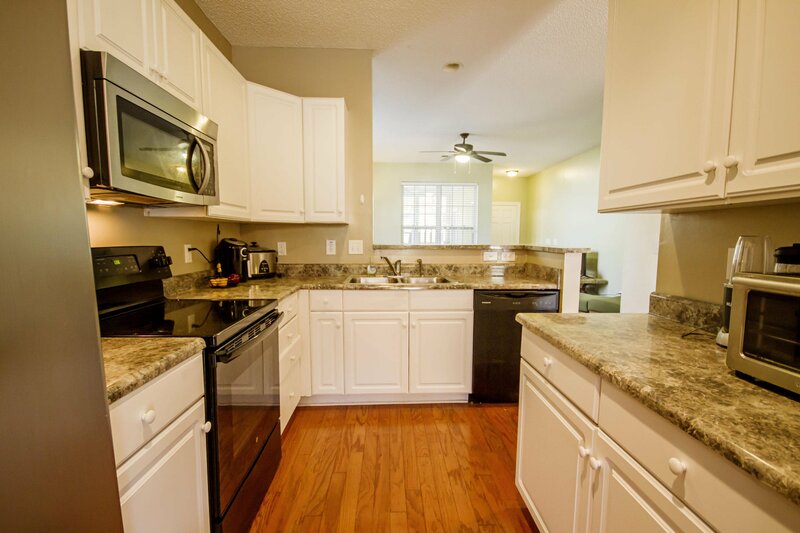 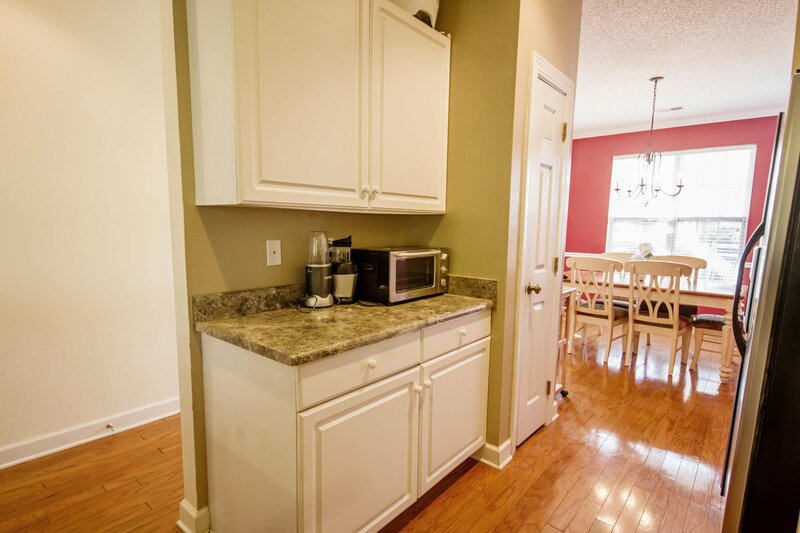 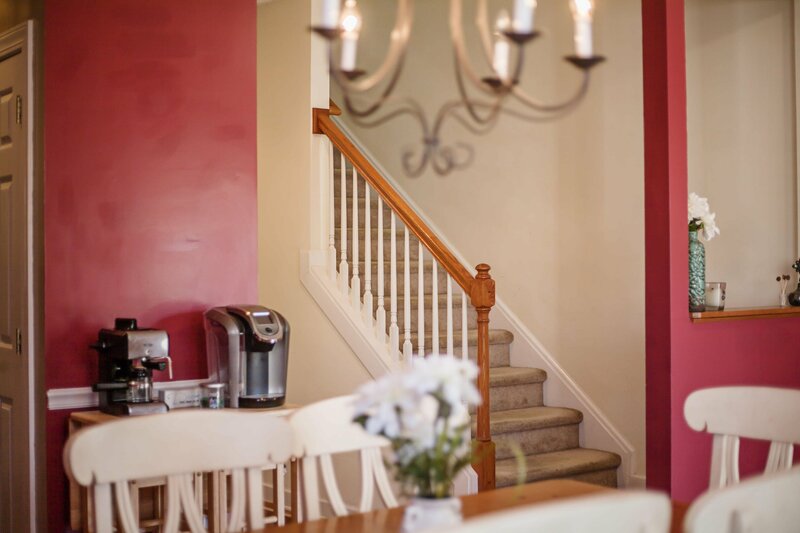 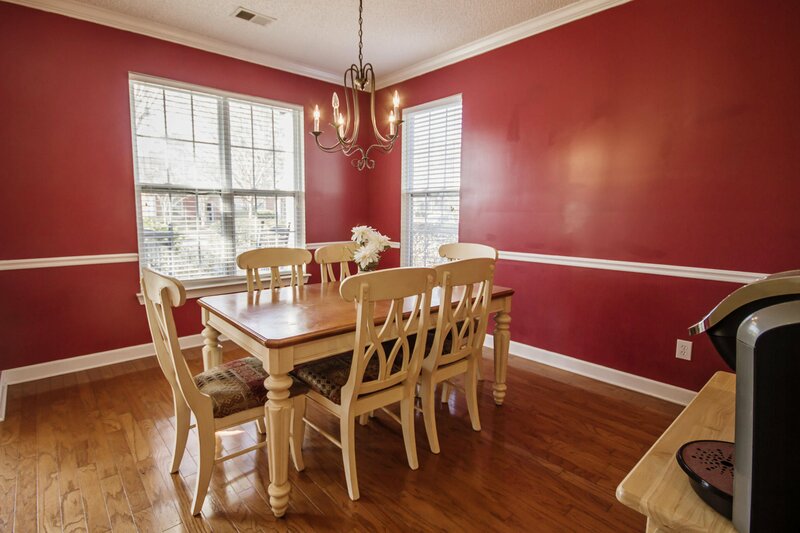 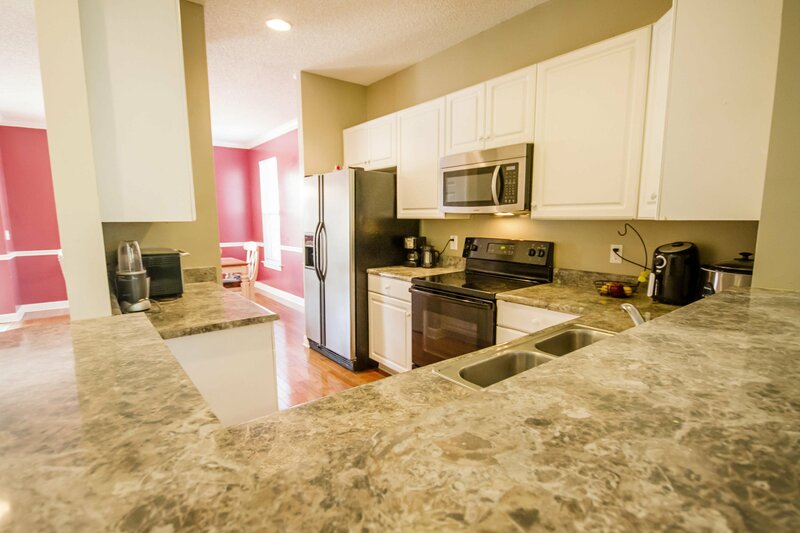 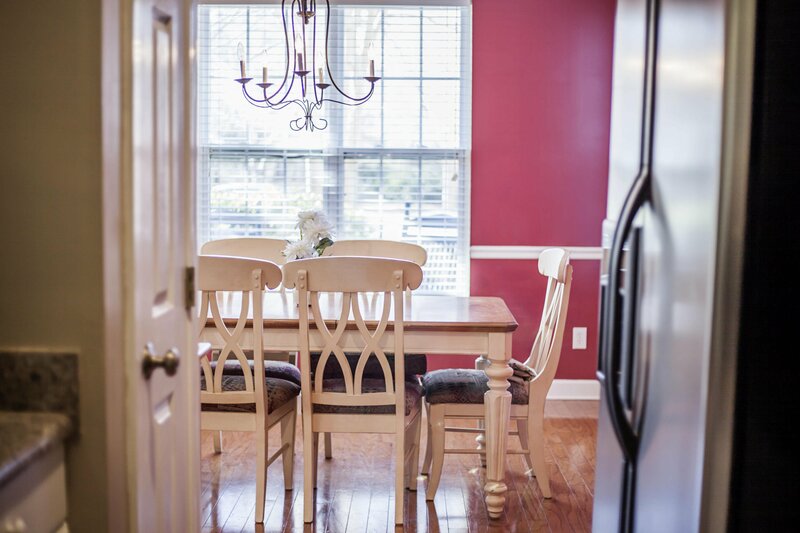 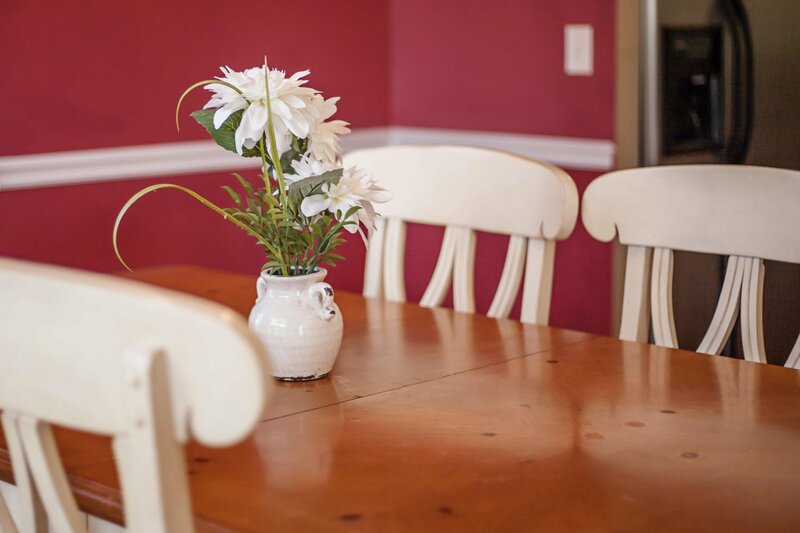 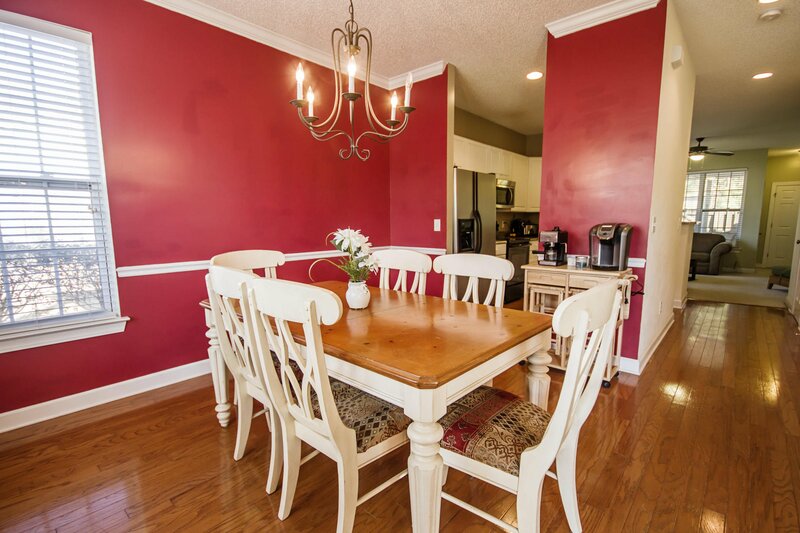 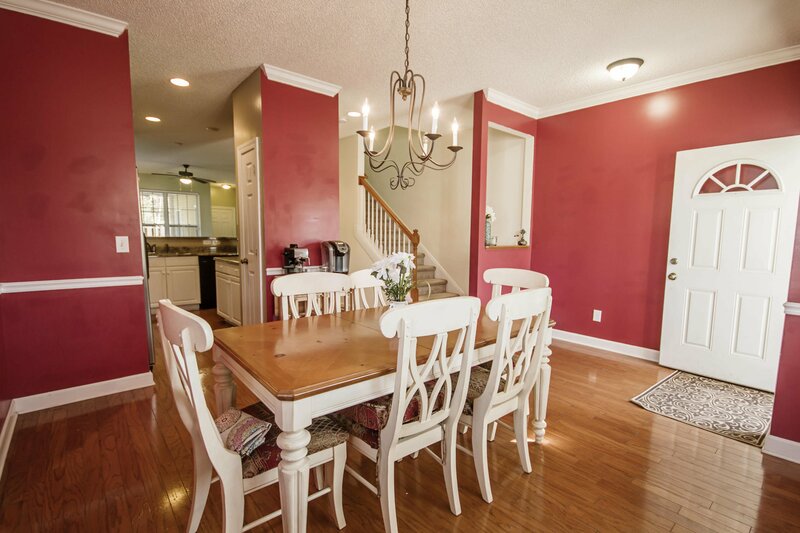 Upon entering, you see the bright and welcoming dining room just off of the well appointed kitchen. 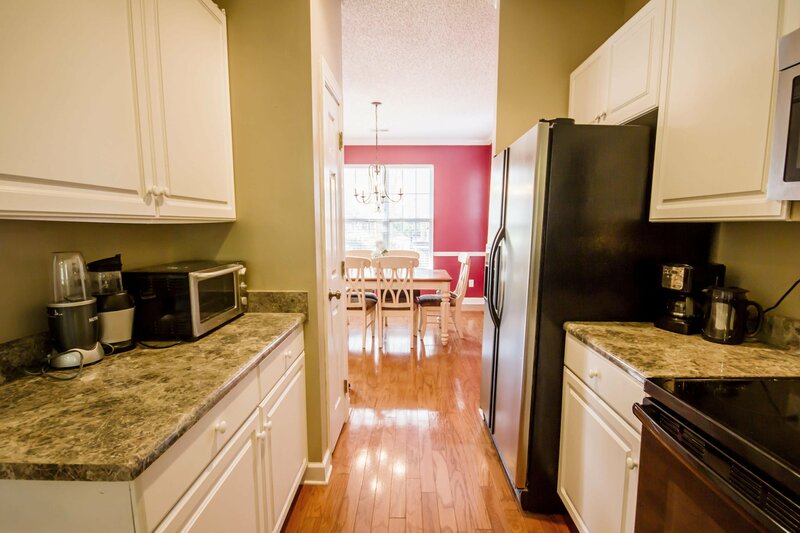 The kitchen offers plenty of counter and cabinet space and is open to both the dining room and living room, perfect for entertaining! 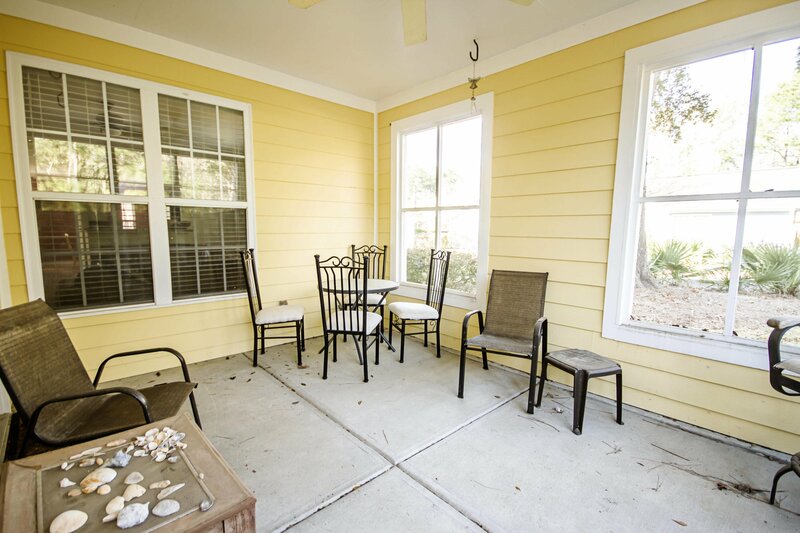 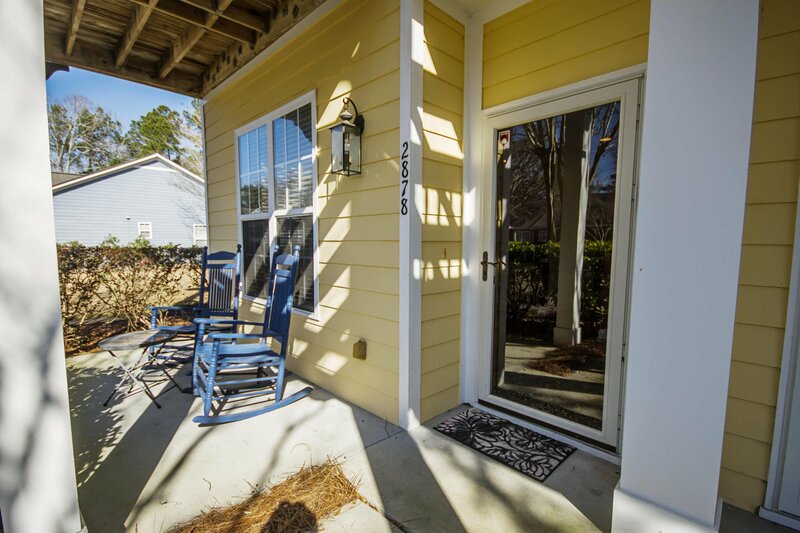 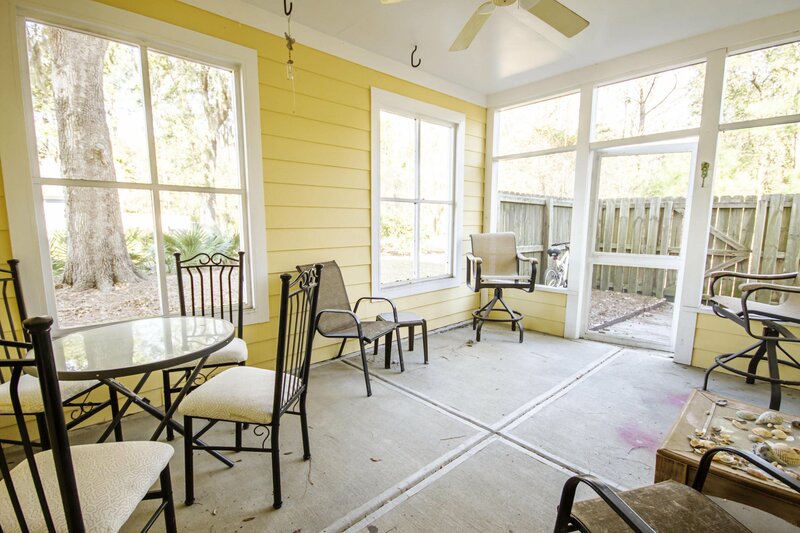 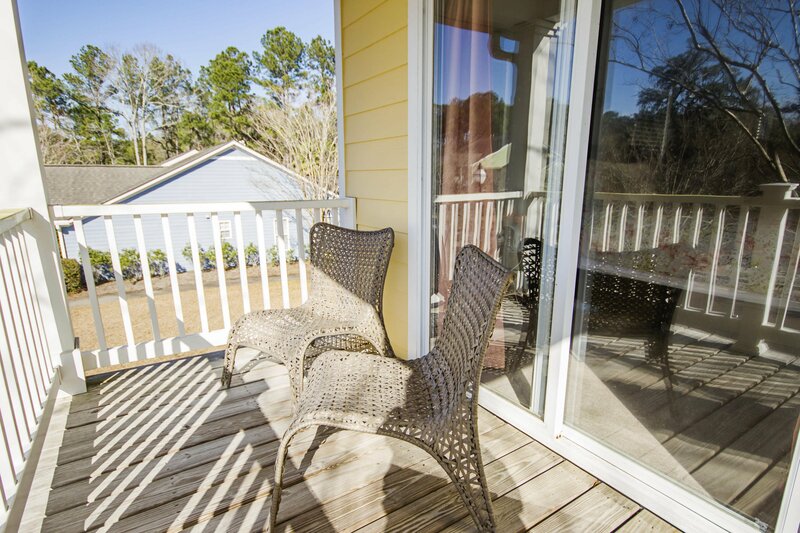 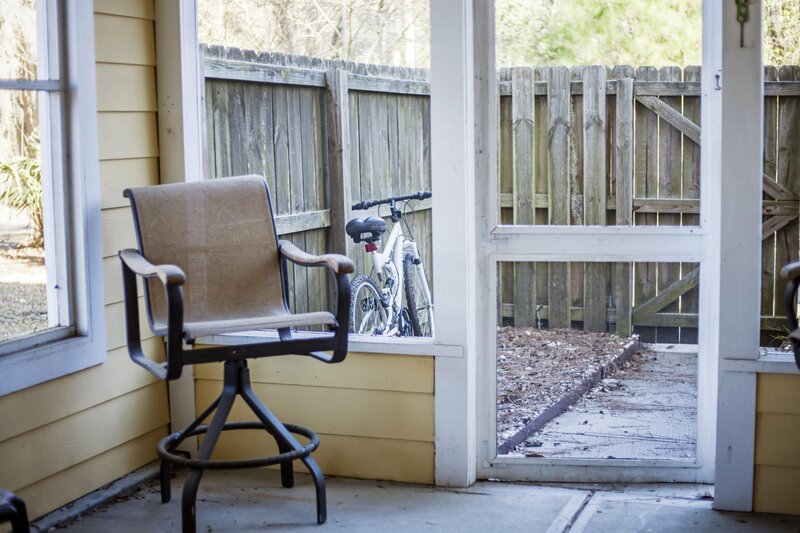 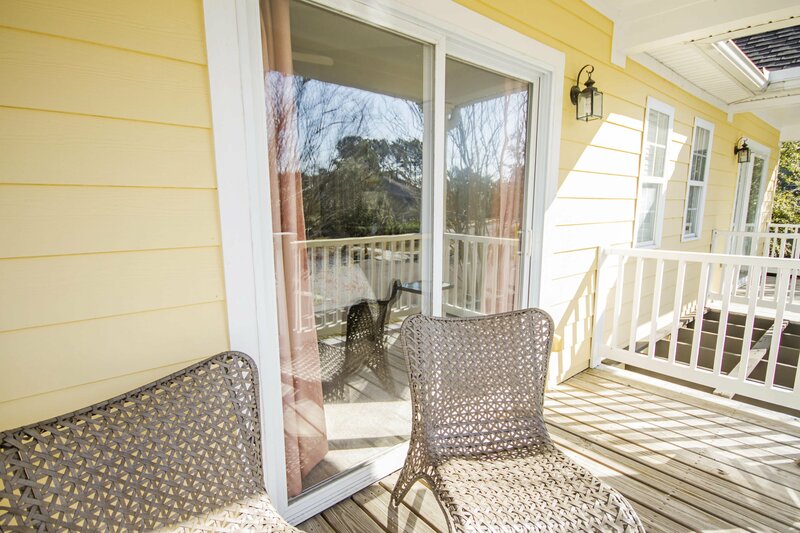 Off of the living room is a half bath and a large screened in porch which opens to the fenced yard. 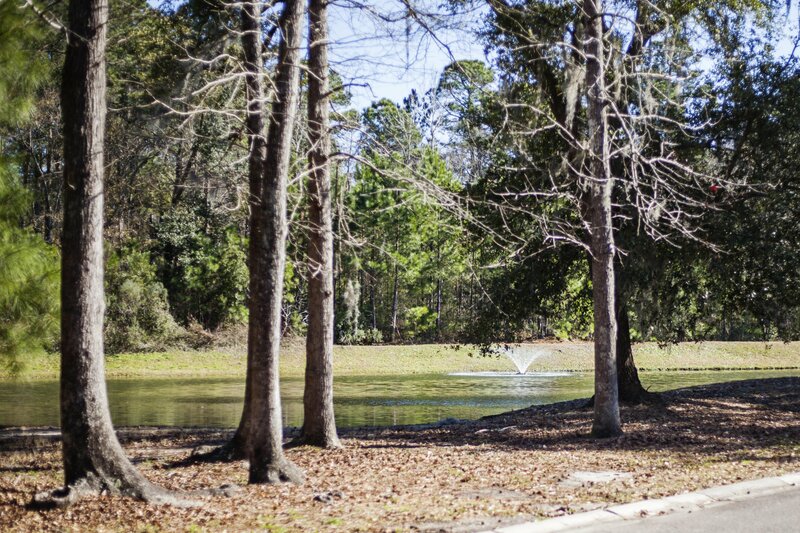 Beyond the fence are 2 off street parking spaces and a beautiful pond. 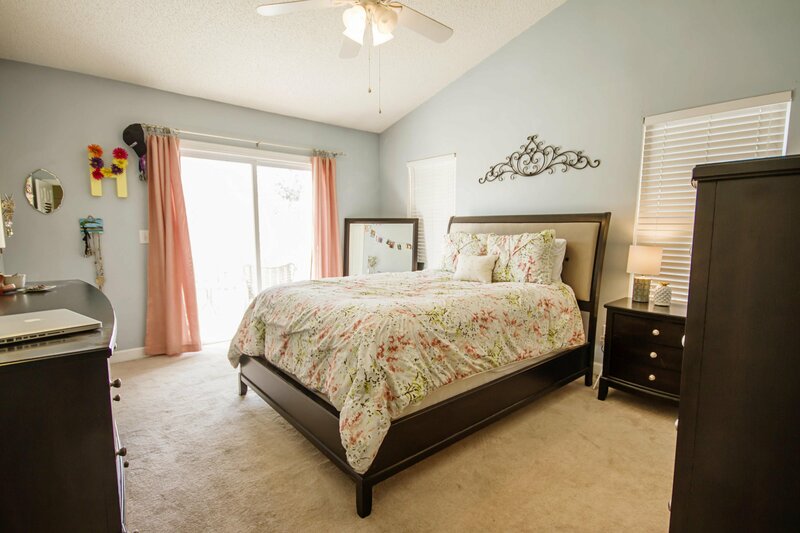 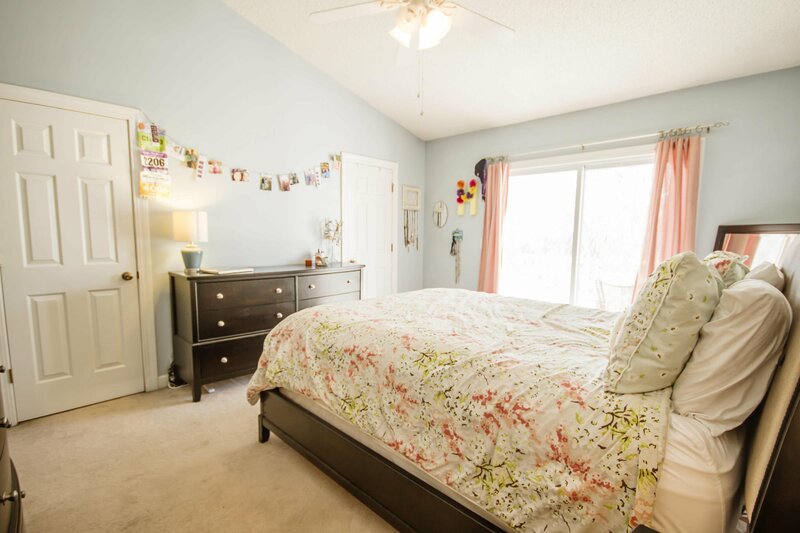 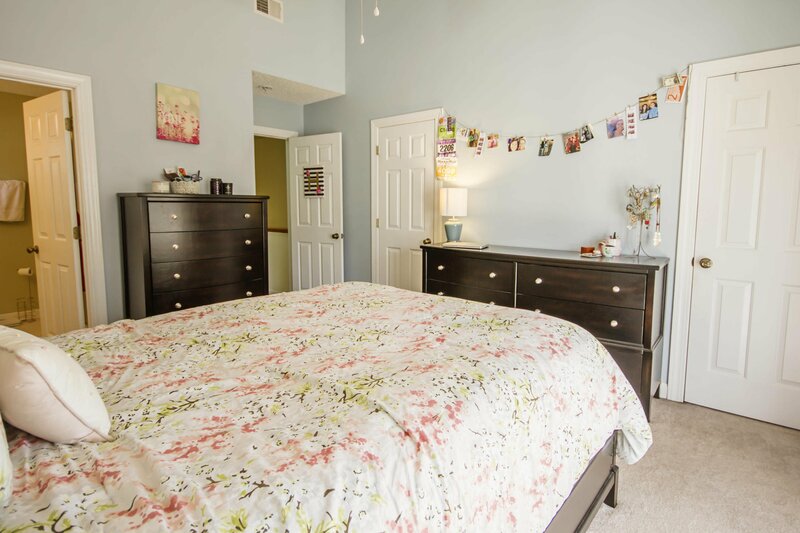 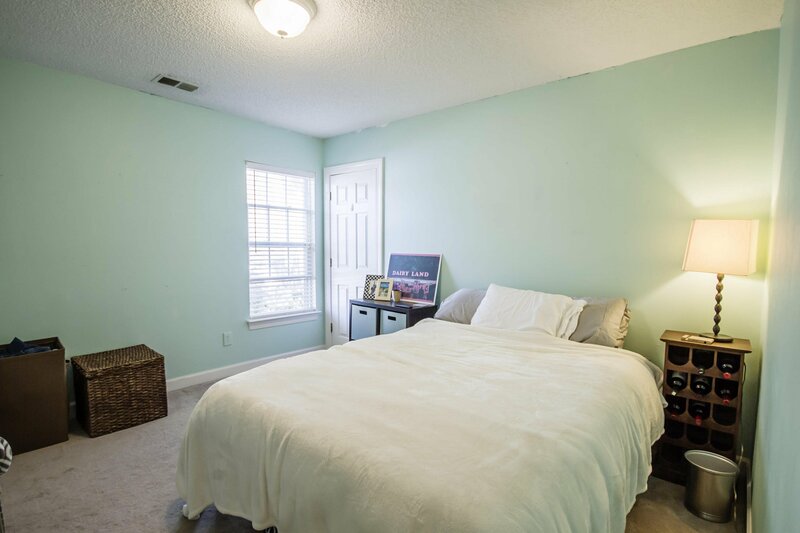 Upstairs you will find an incredible master suite with 2 closets, a large bathroom and a porch overlooking the neighborhood. 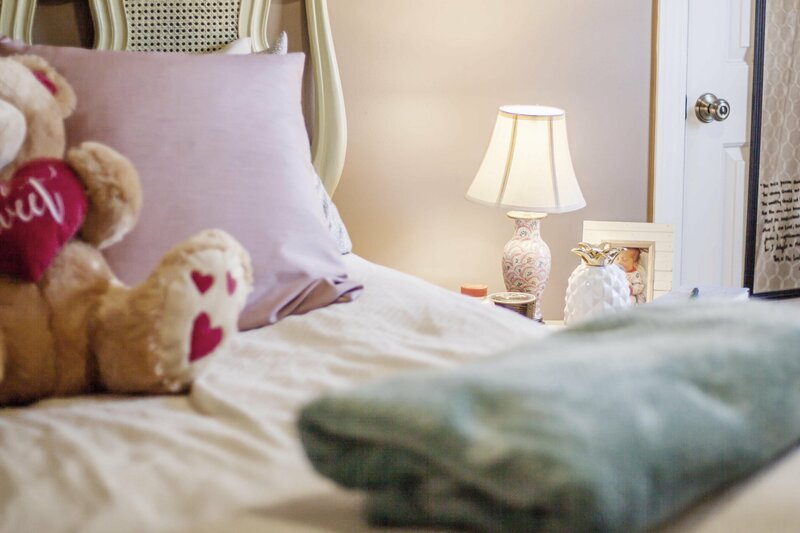 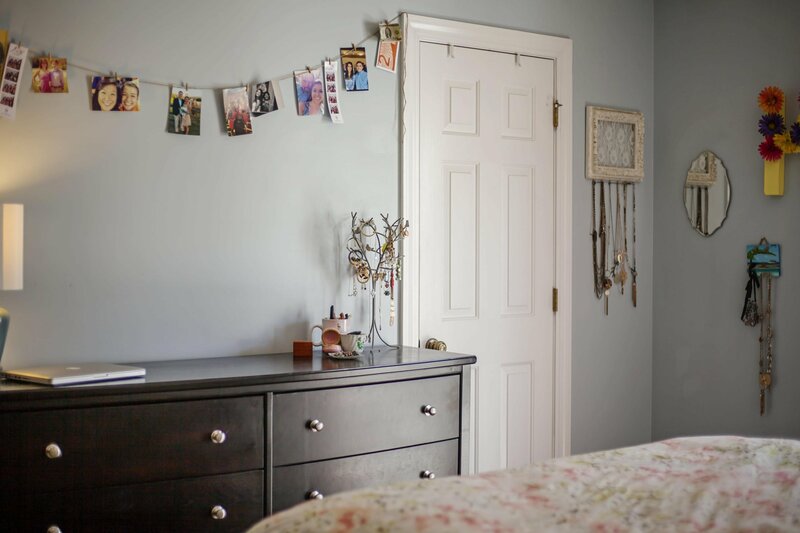 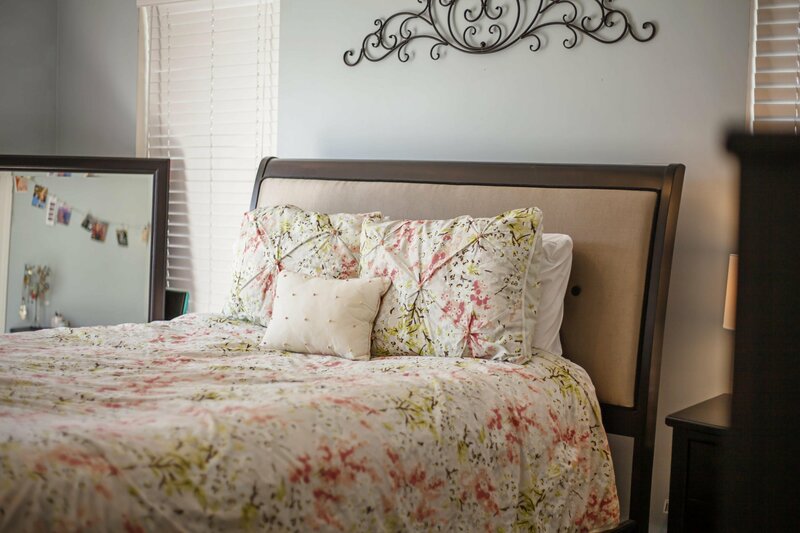 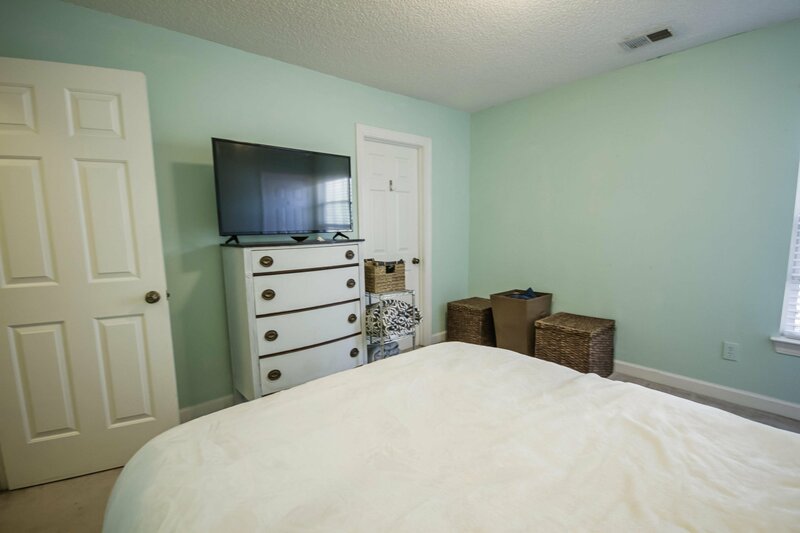 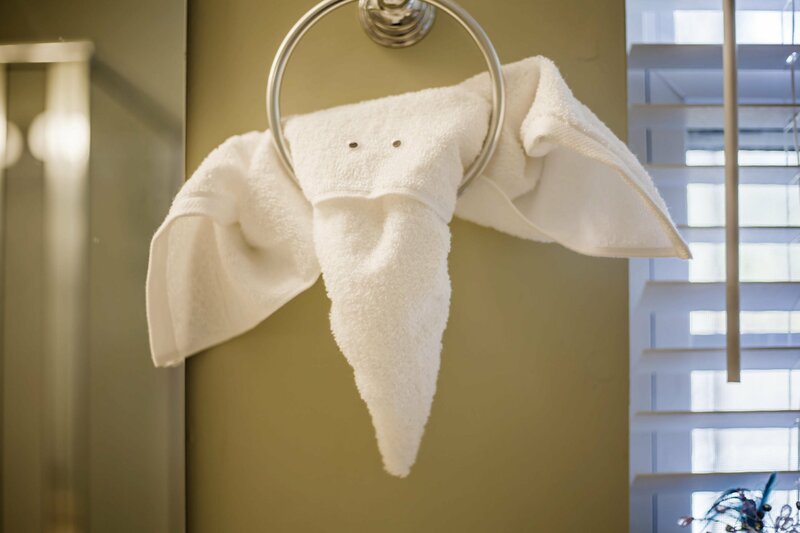 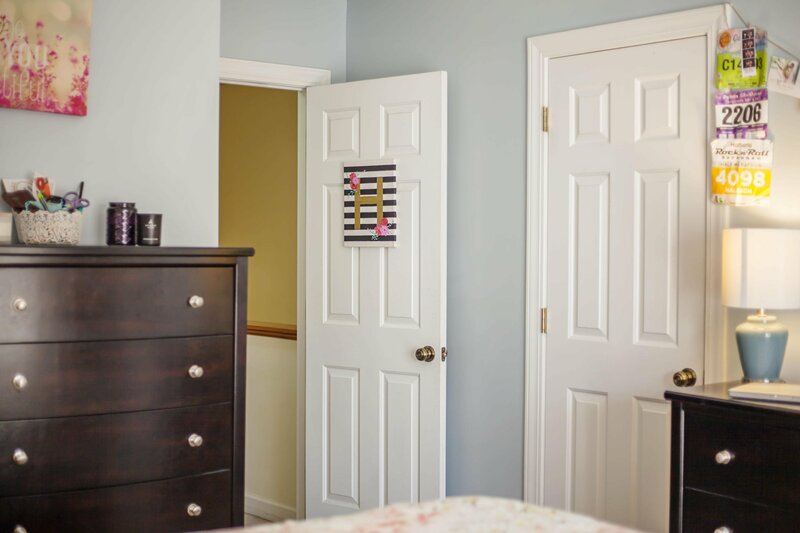 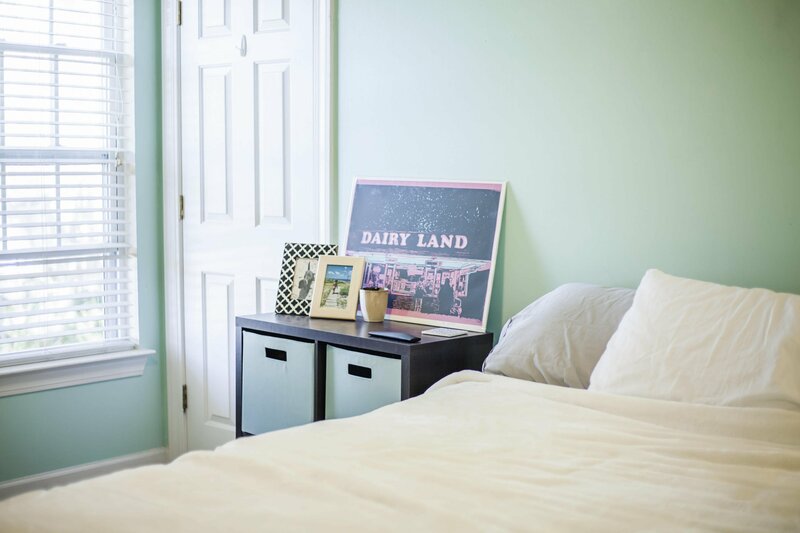 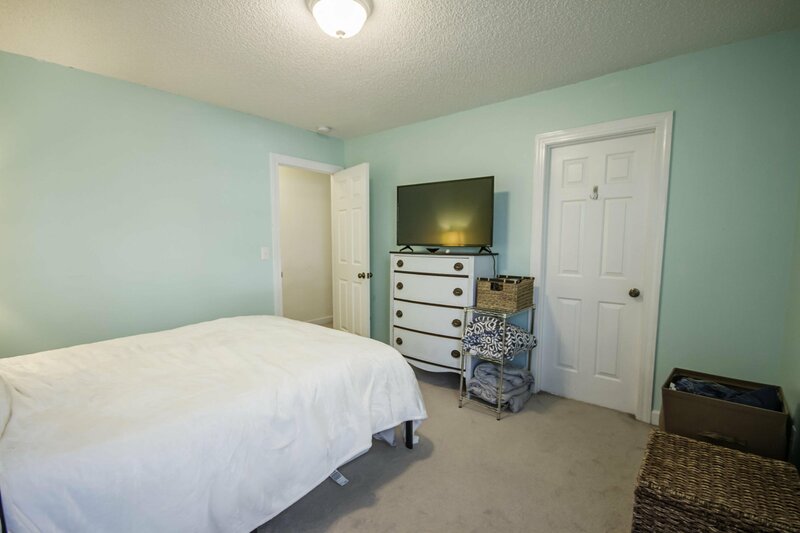 The remaining guestrooms are well sized and offer walk-in closets. 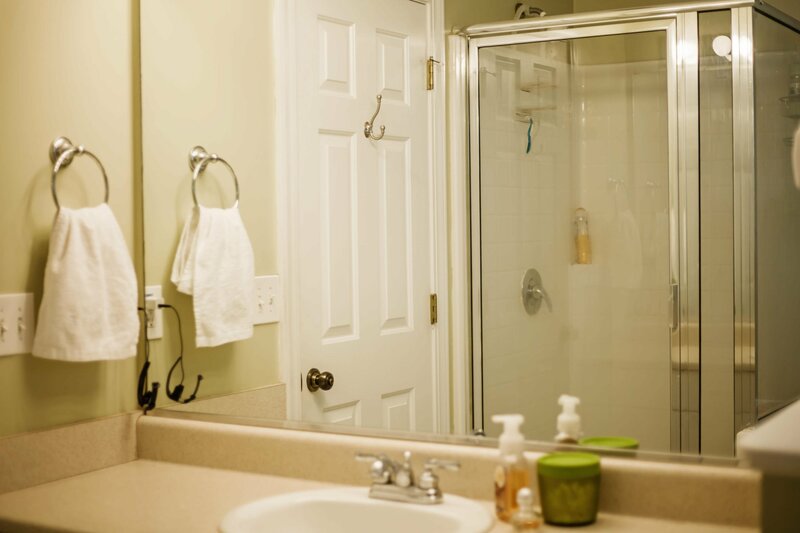 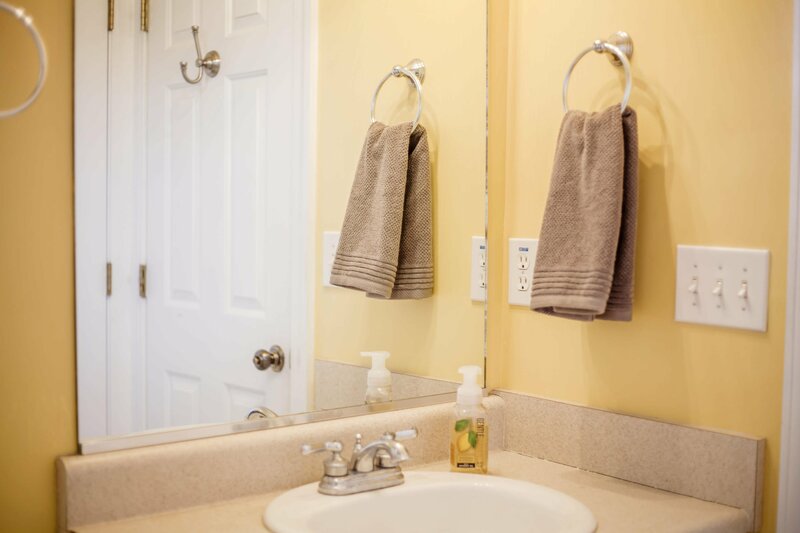 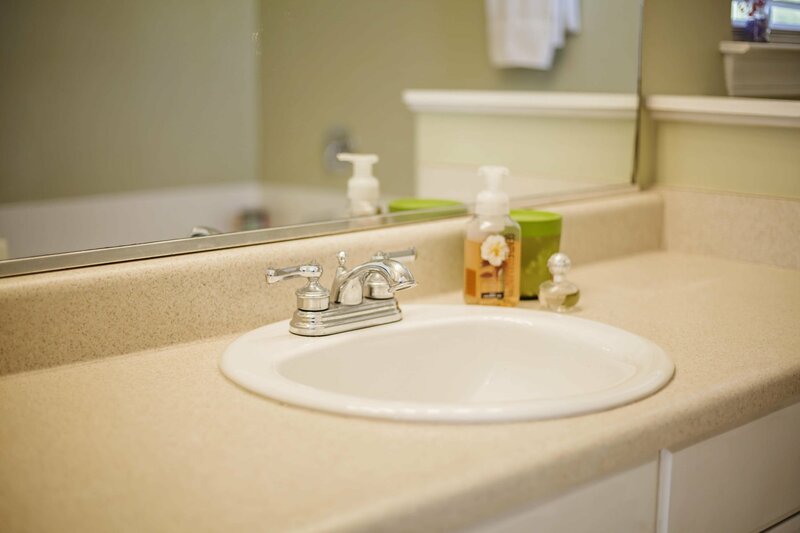 One of the guestrooms includes direct access to the shared bathroom. 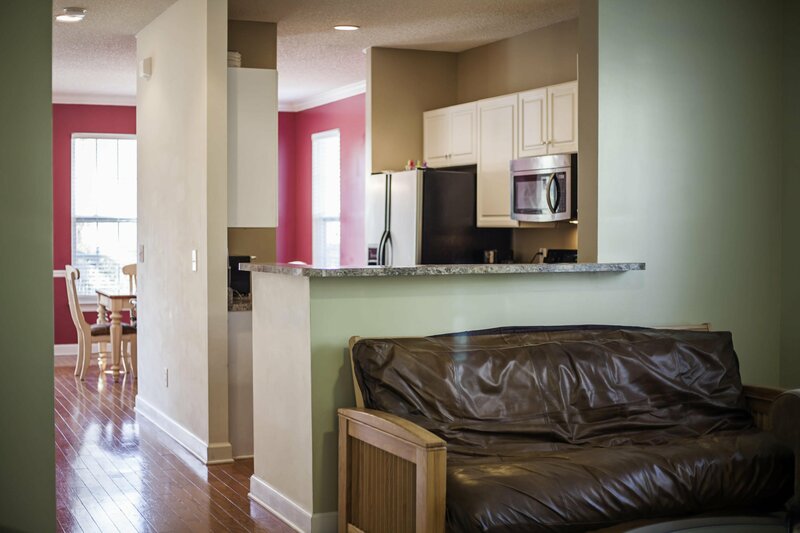 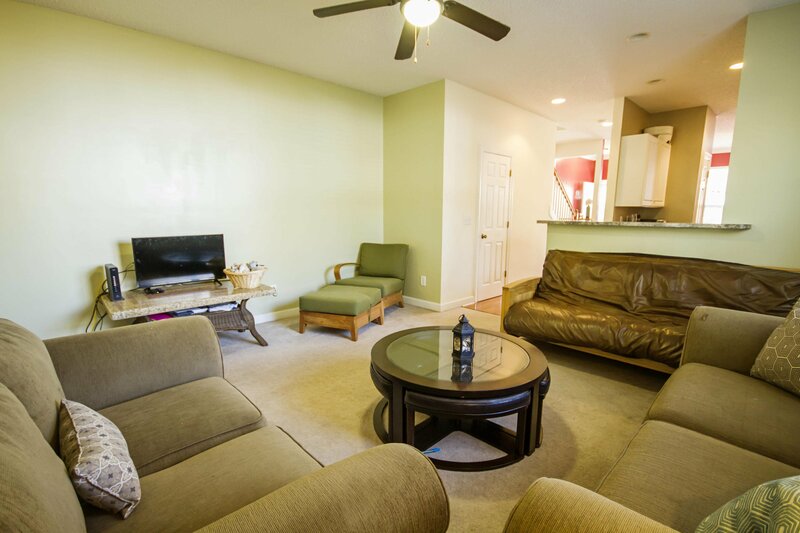 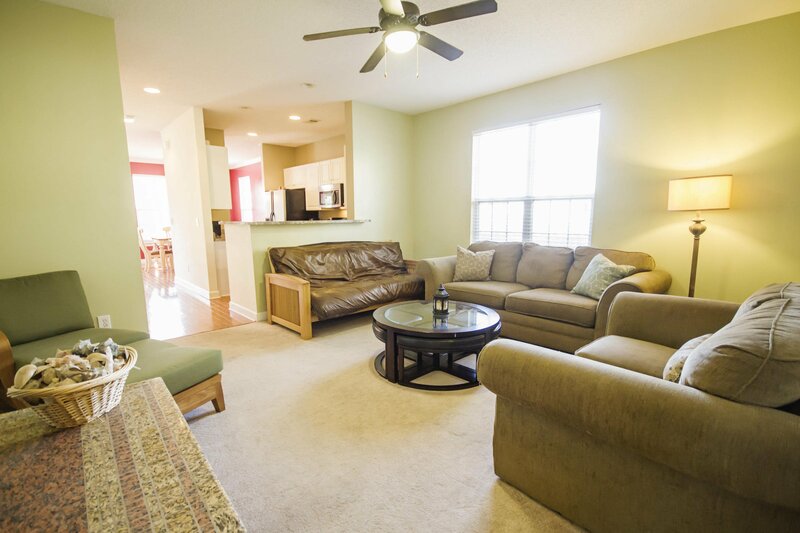 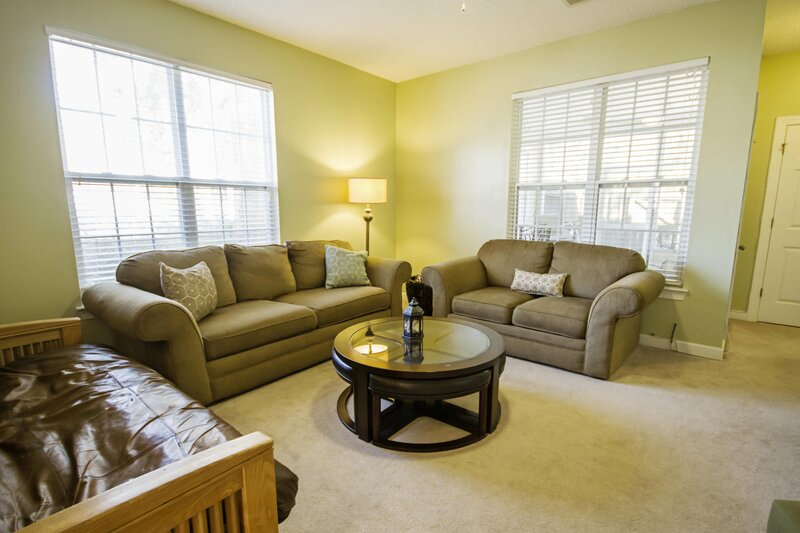 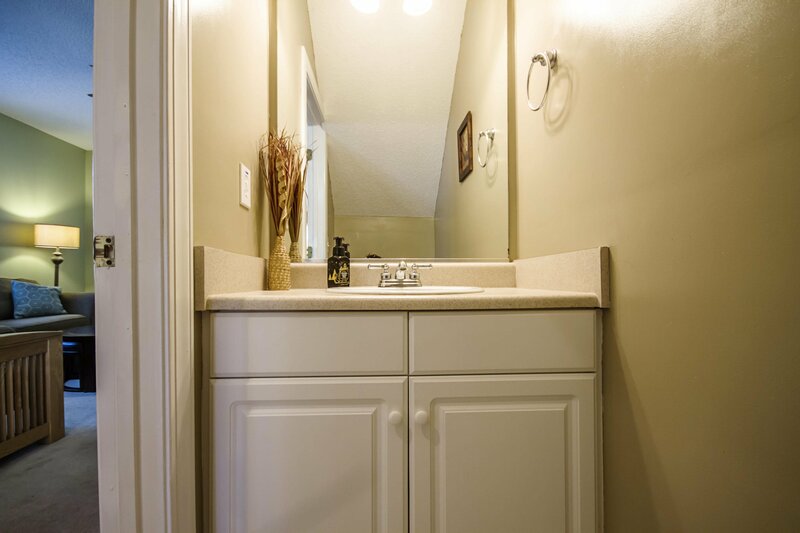 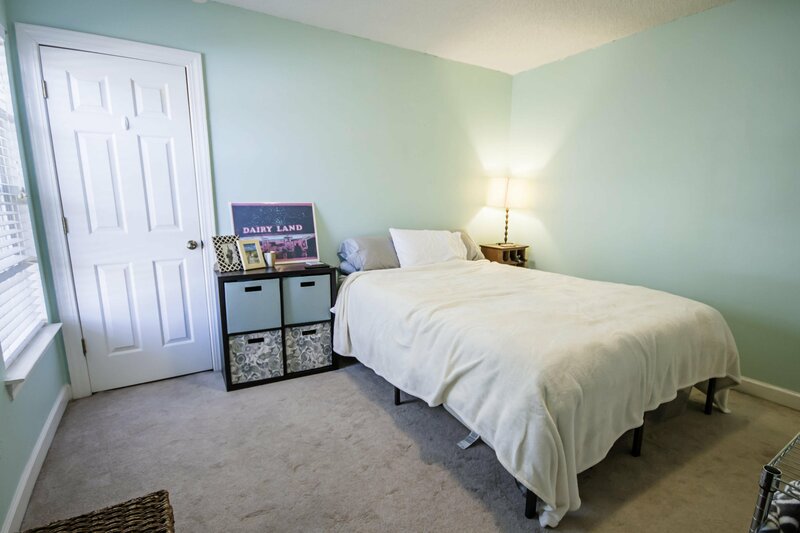 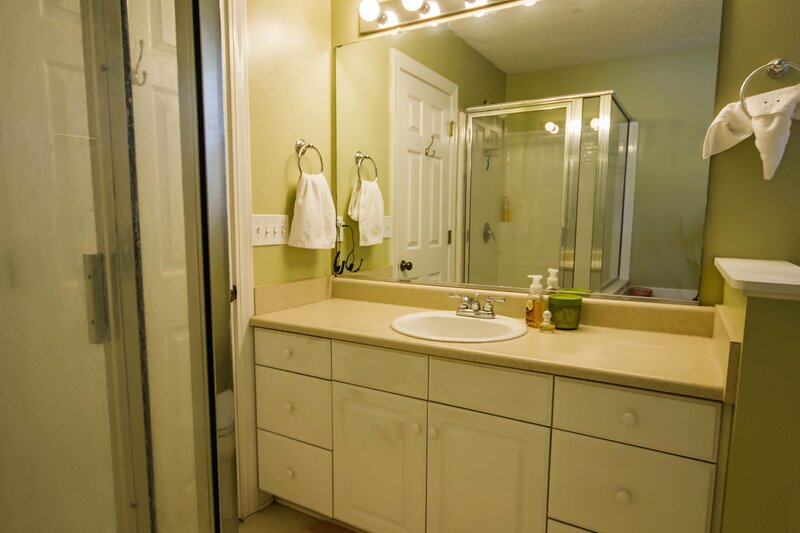 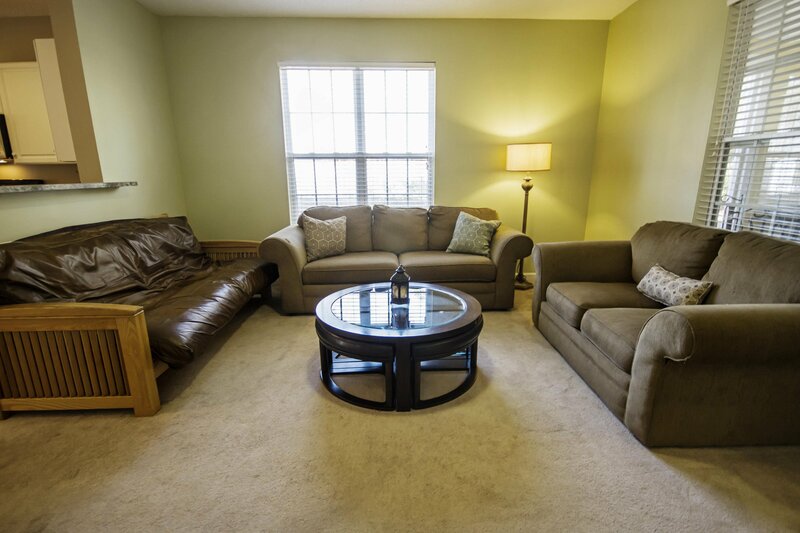 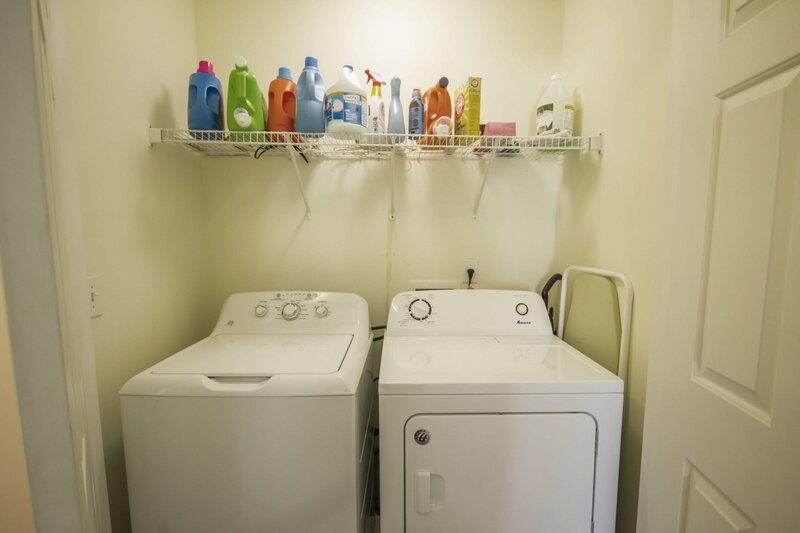 Laundry is conveniently located on this level, no trips up and down the stairs with heavy laundry baskets! 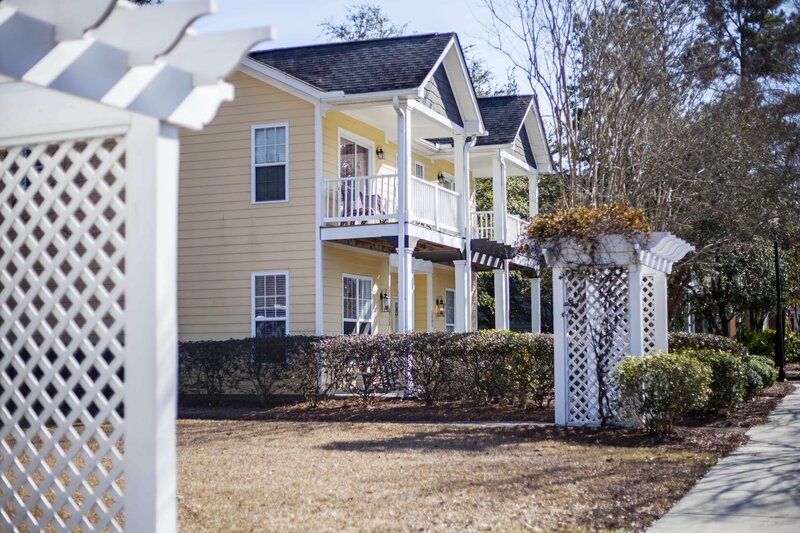 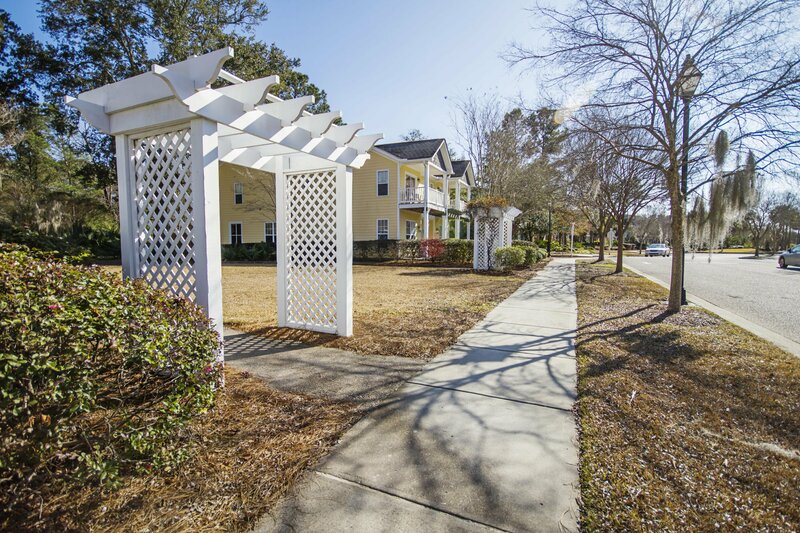 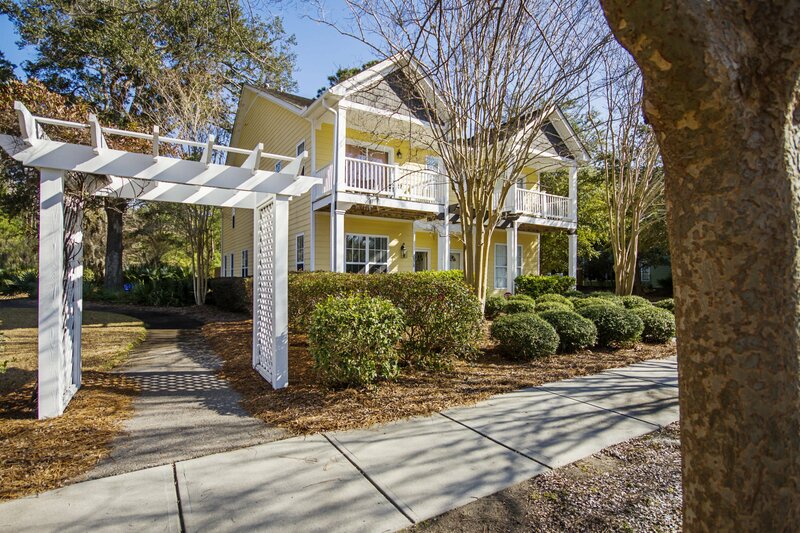 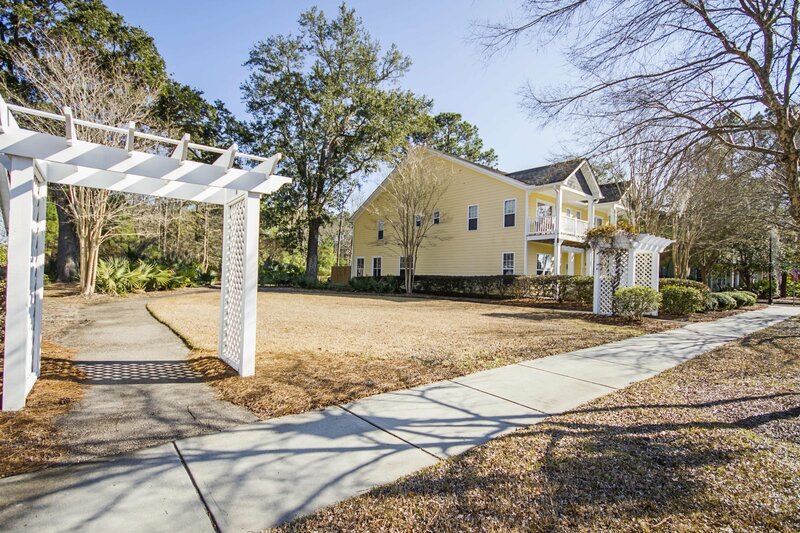 This quiet neighborhood offers walking trails and many ponds making this a perfect space to relax and enjoy the outdoors. 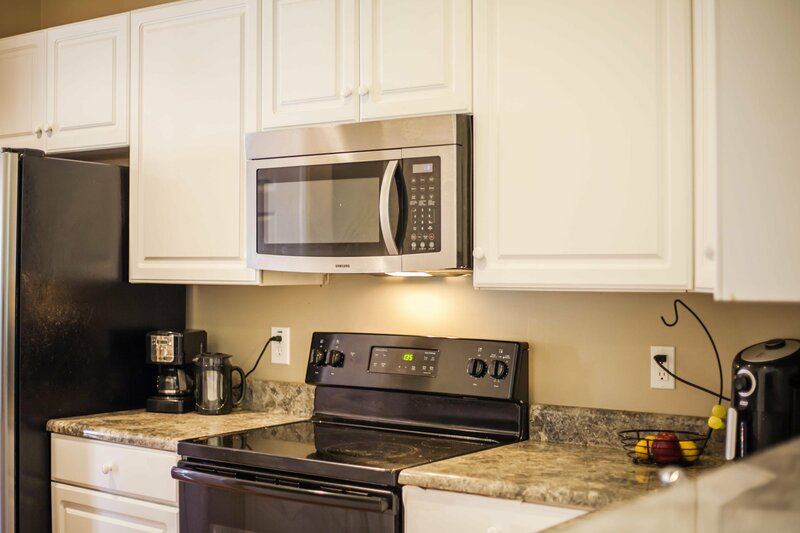 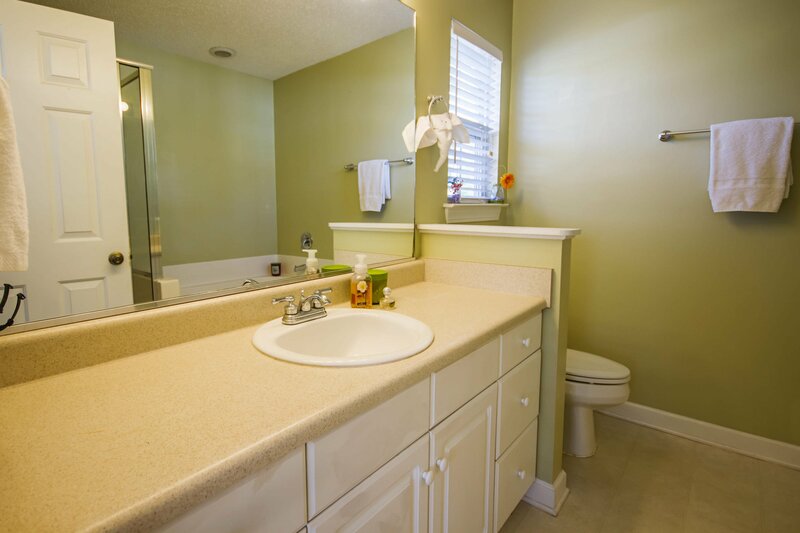 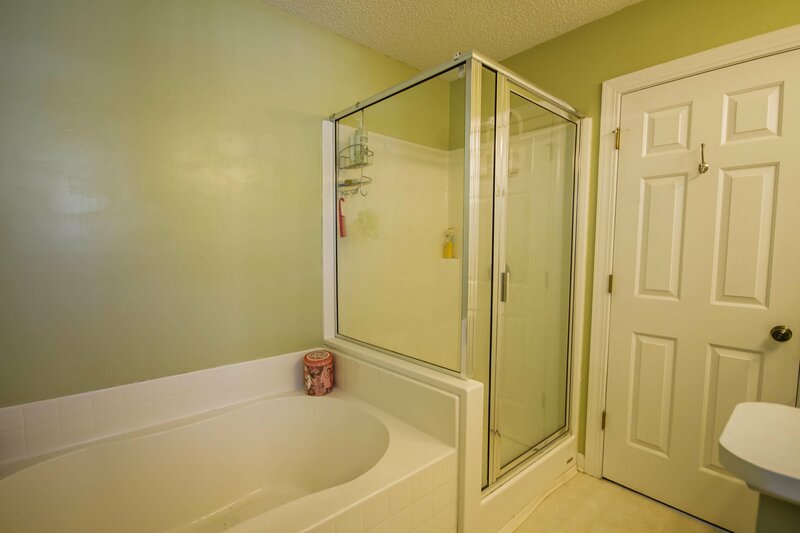 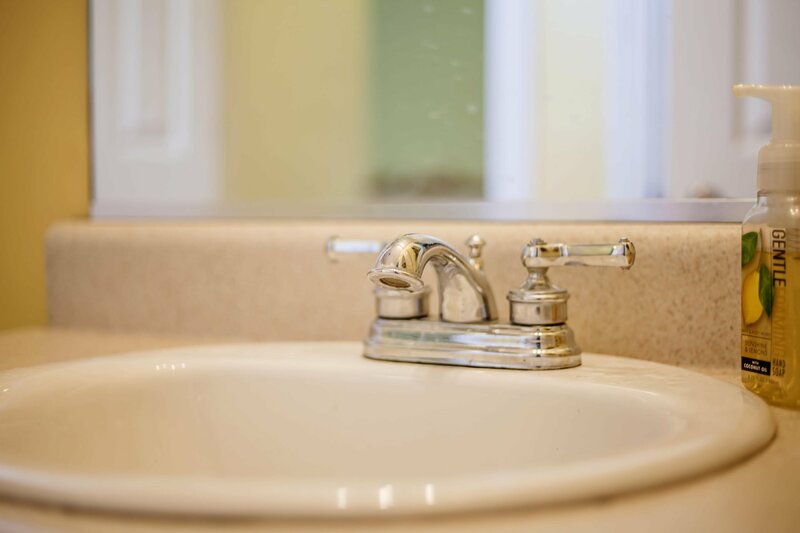 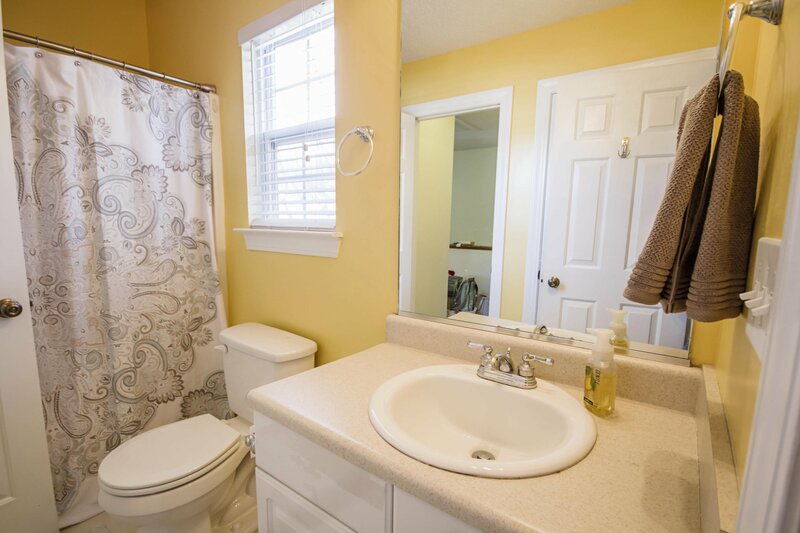 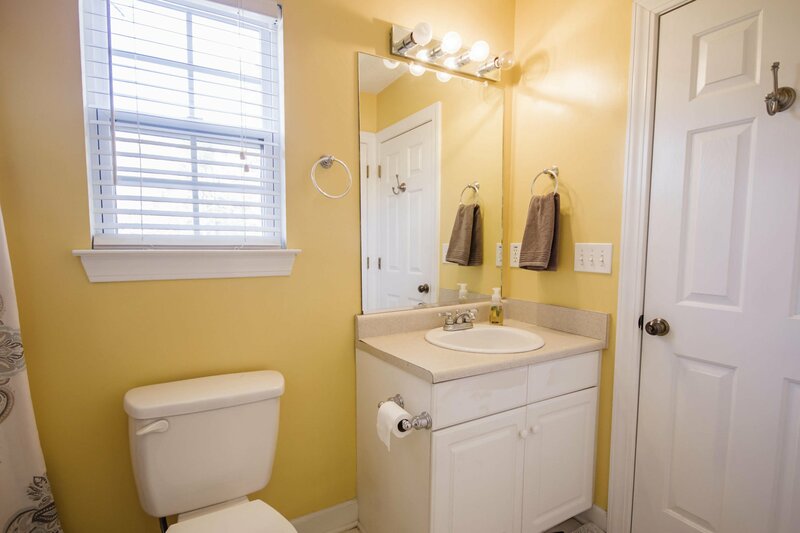 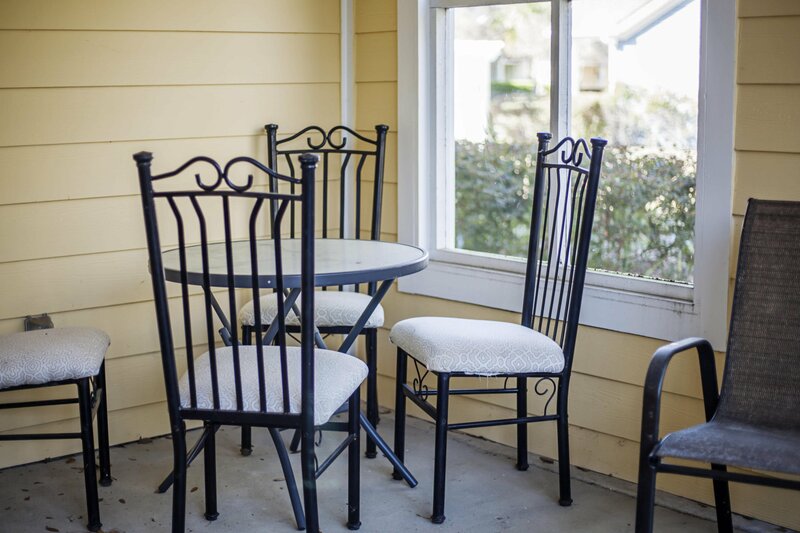 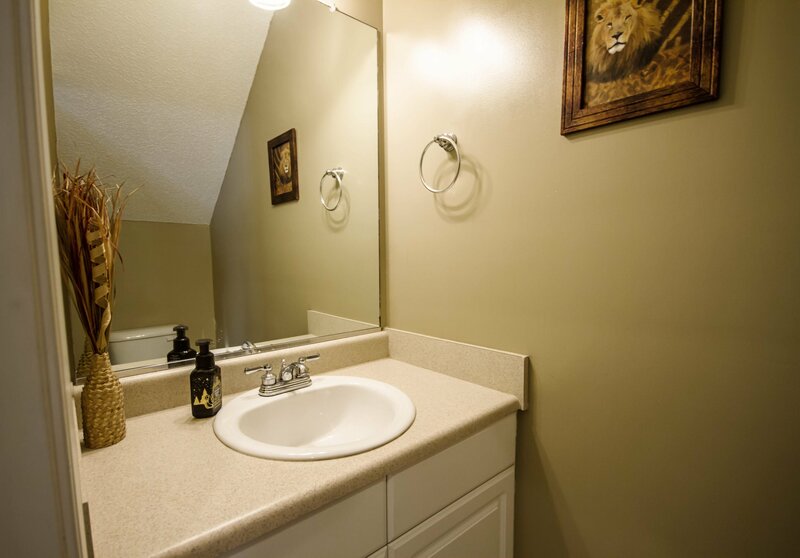 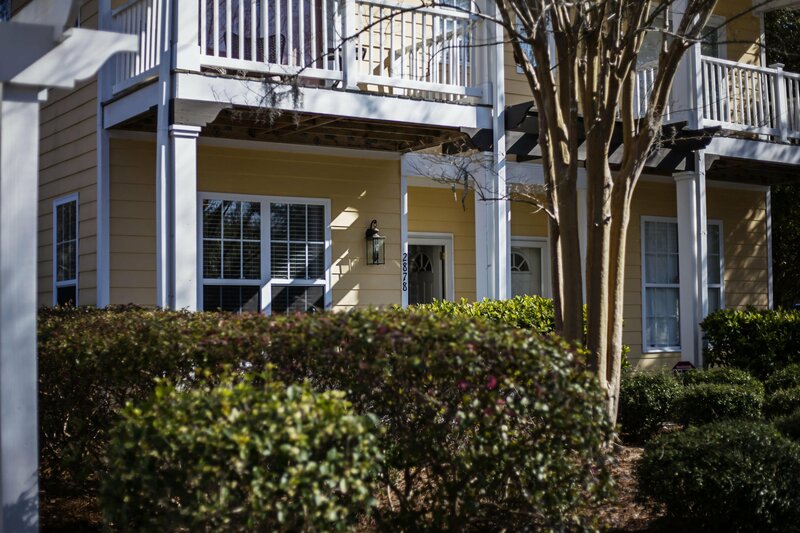 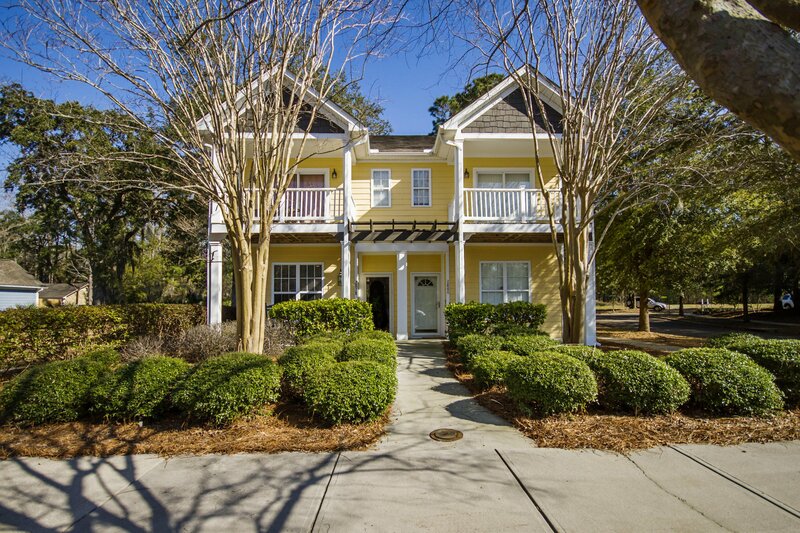 Additionally, this townhouse is low maintenance as exterior repairs, such as most roof repairs, and lawn care, outside of the fenced area, are included in the HOA fee.